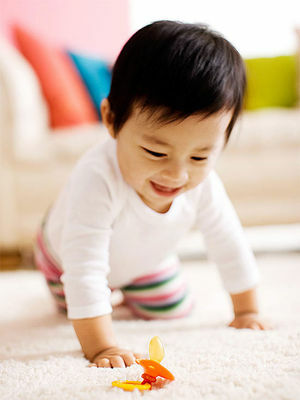 Crawling is your baby's first way of getting around independently. 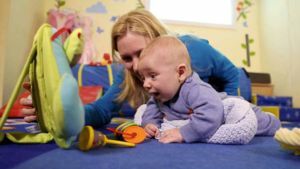 Here you'll learn when your baby should start crawling, and what to do if your baby is completely happy staying put. Eager to see your little one start crawling? 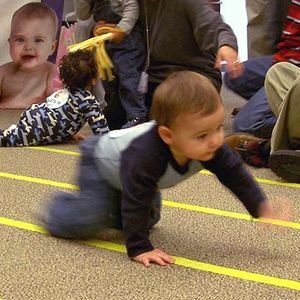 Find out at what age babies reach the crawling milestone and what it means for their physical development. 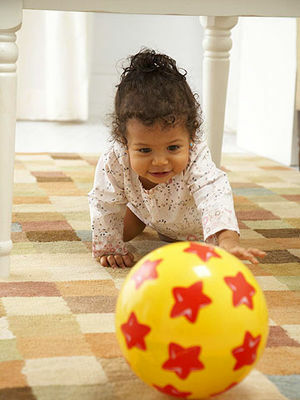 Before you know it, your little one will be crawling and making a go for it! Is your baby using any of these popular crawling methods? Crawling gives baby a taste of independence -- and a new view of the world. Learning to crawl offers baby more than just transportation. Now that your baby can sit up, she'll begin to move around. We tell you about the stages of mobility, from creeping to crawling. 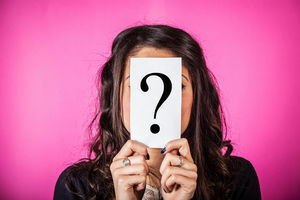 Is this developmental milestone falling out of favor? Learning how to roll over, crawl, and take those first steps is tough work for a baby. In fact, it takes weeks of practice -- plus strength and coordination -- to reach these motor milestones. Here's how to help your little one get moving. It's downright amazing when your baby starts scooting across the floor. We'll tell you what you need to know about this fun physical feat. What does it take for your child to crawl? Plenty of practice, plus some remarkable physical and mental development. Is your baby using any of these popular crawling techniques? 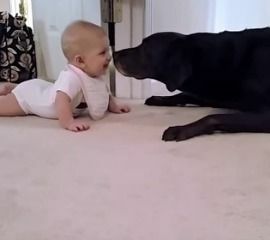 Tummy time is crucial for Baby's physical development. Help your bundle of joy enjoy this time by trying these expert-approved techniques, such as adding props to keep him engaged. How and when your baby moves from one small step to the next. Crawling gives baby a taste of independence and a new view of the world.